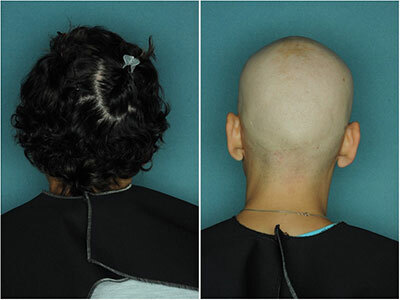 We recently published an overview of the ongoing work being done by Dr. Angela Christiano and JAK inhibitors in the treatment of Alopecia Areata. We are actually conducting a call with Dr. Christiano, the CEO and the CSO of Aclaris today. We hope to discuss the findings in updated studies done on Alopecia Areata patients, as well as the potential for a JAK inhibitor topical in the treatment of Androgenetic Alopecia (Male and Female Pattern Baldness). The content from that interview will be published later this week. In the meantime, we wanted to inform you of a new study just published in the August 2016 issue of Experimental Dermatology. Strange sounding name, but abbreviated as JAK, this new class of medications work to inhibit a certain type of immune response when it has become misdirected in the human body. Alopecia Areata is known to be autoimmune in nature. Auto-immunity is the body turning against its own tissues, and comes in countless forms from digestive, to skin, to even organ involvement. In the case of Alopecia Areata, the primary target for these immune cells is the skin and as a bi-product, the hair. You will often see patients with other inflammatory skin conditions alongside the presentation of patchy hair loss. There is also some ongoing discussion that inflammation plays an integral role in the progression of typical male and female pattern baldness (thinning and recession) that billions of people experience. Currently the treatments for Alopecia Areata are minimal, and include painful topical steroid injections. Likewise, the list of approved treatments for “run-of-the-mill” hair loss isn’t very long. In fact it includes only Propecia (finasteride) and Rogaine (Minoxidil). However if a connection can be made between the inflammation that JAK inhibitors block, and the inflammation found in typical “hair loss”, we may have a new treatment on our hands. Left: CXCL10 Elisa at baseline and 4 Weeks. Middle: ALADIN Heat Map Control & AA Patient at Baseline and 4 Weeks. Right: ALADIN Plot of Control & AA patient at baseline and 4 weeks. Tofacitinib (say that 10 times fast), has been the standard experimental treatment for Alopecia Areata in the JAK inhibitor realm lately. This study sought to add understanding to exactly why it works so well in treating Alopecia Areata. Without getting too deep into the science of the study, they decided to actually measure and monitor the levels of inflammatory cells before and during treatment. The theory was that they would see a drastic decrease in the offending “processes” known to lead to the development of AA. And this is exactly what they found. Once again not only did the patient fully regrow their hair, but the scientists observed a marked decrease in the lymphocyte and chemokine (fancy words for autoimmune) activity. What’s interesting is that they saw this decrease both in the scalp skin, and in circulating blood levels. Even more interesting is the ongoing question of safety and potential side effects. They have established already that the treatment works, but larger scale studies are necessary before approval can be attained for widespread use and prescribing. During this study they did a full workup on the patient and baseline and at found no abnormalities in her blood markers, nor were there any reported side effects. Even though this is just a single patient, this provides yet another example of optimism in the question of side effects. After Stopping Treatment: Left panel, 8 weeks following cessation of treatment. Right panel, 16 weeks following cessation of treatment. The patient exhibited almost complete loss of scalp hair. At a dose of just 5mg twice a day, the patient had partial regrowth at the 1 month mark, and had fully regrown both her scalp hair, and eyebrows by the 4 month mark. This came with no side effects, an obviously reduced autoimmune response, and no abnormal blood markers. However, after stopping treatment, it took only 16 weeks for the patient to return to baseline: experiencing once again complete loss of scalp and eyebrow hair. So treatment must be continued in order for results to be maintained, and this is exactly why side effects and proper dosing are the question currently on the table.